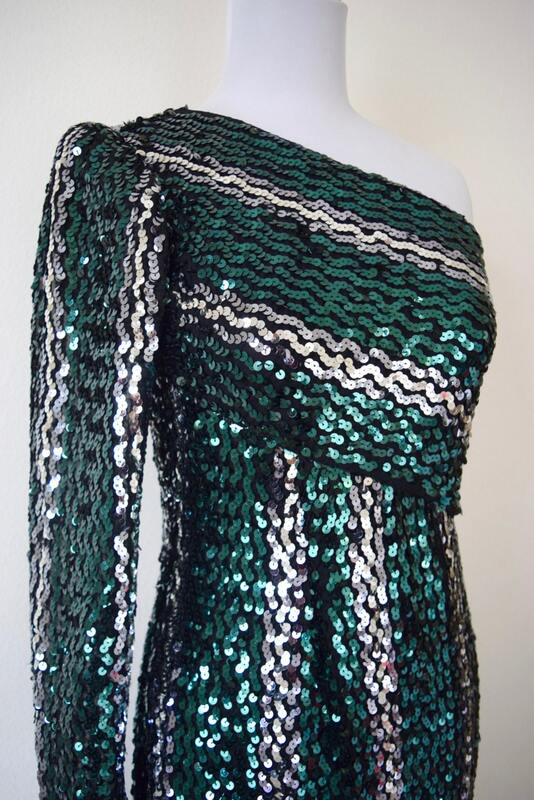 Python green and silver sequined one-shoulder evening gown with slit up the side. Fabric has some stretch to it to hug the curves of your body. Fully lined. Zips up the side.